Orrin, a big part of what I liked about your story, Programmed To Receive, was the temporal fuzziness you worked into the narrative. The Resonator technology you write about doesn’t just open up space and alternate dimensions, it also cracks open Time, so that moments in the life of your narrator bleed through into other moments. It’s not messy though; the story works as a seamless whole. Can you speak about your process with this? Did you map it all out or did you take a more holistic approach? It seems like my process is always a little bit different from one story to the next. I actually wrote the first draft of Programmed to Receive pretty much all in one sitting, so I guess you could call that a holistic approach, but before I started I had… not exactly an outline, but a good idea of what beats I wanted to hit, and some notes on each beat. So it felt a lot like I had already done the heavy lifting of writing the story before I started, it was just a matter of connecting the dots. You also use Tarot imagery to good effect. The Tarot system of divination has always struck me as a kind of melding of technology and spirit. Do you have experience reading Tarot? What made you decide to use it as a framing device for your story? I don’t have any experience or training in reading Tarot, but I’ve always been fascinated by the imagery and symbolism of it. The very first thing I came up with for Programmed to Receive was the image of the broadcast tower, and as soon as I started writing notes for the story I started calling it “the Tower” and from there the other Tarot cards to delineate the sections of the story just kind of fell into place. What’s coming up for you, Orrin? Where will we be able to read more of your work in 2015? 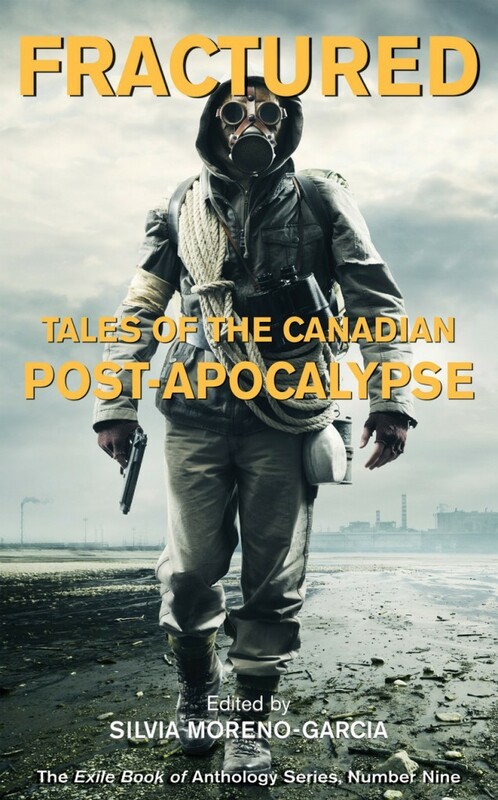 I’ve got a lot of stuff in the works for 2015, including stories coming up in Giallo Fantastique and Gothic Lovecraft, and my ghost apocalypse story Persistence of Vision, which originally appeared in Fractured: Tales of the Canadian Post-Apocalypse, is going to be reprinted in Ellen Datlow’s Best Horror of the Year Volume 7, which I’m really excited about. But the main place you’ll be able to read more of my work in 2015 is with the release of my next collection, which is coming out from Word Horde in October. It’s going to feature thirteen stories, all of them inspired by horror cinema from various eras, three of them (including a novelette) new to the collection. We’re calling it Painted Monsters & Other Strange Beasts, and for more info on it just keep an eye on my blog or the Word Horde website.